My buddy Nathan was traveling around Europe for a while, and came up to Sweden for a few days to have a look around, so we took a day trip down to Stockholm to see the city since neither of us had been there. It was a rainy day, so photo conditions weren’t very good and I took very few pics. We walked all around the city, went into stores, ate cinnamon buns (en kanelbulle = a cinnamon bun) which are apparently a very Swedish thing, and I bought a good pair of gloves. 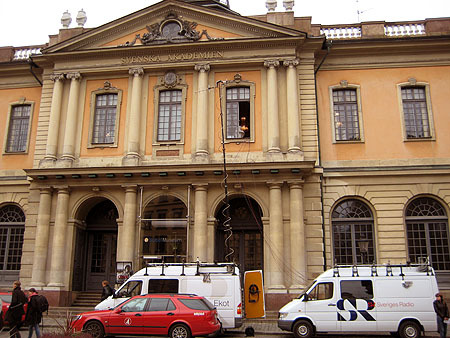 It was Nobel Prize time, so when we went to the Nobel Museum in the old town (Gamla Stan) of Stockholm, we found news vans parked outside. While we were in the Museum, the Swedish Academy announced the Literature prize winner, although the Museum is not where the prizes are awarded or announced. 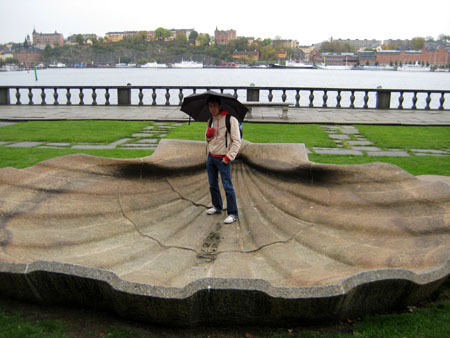 Stockholm is a city of islands linked by bridges. 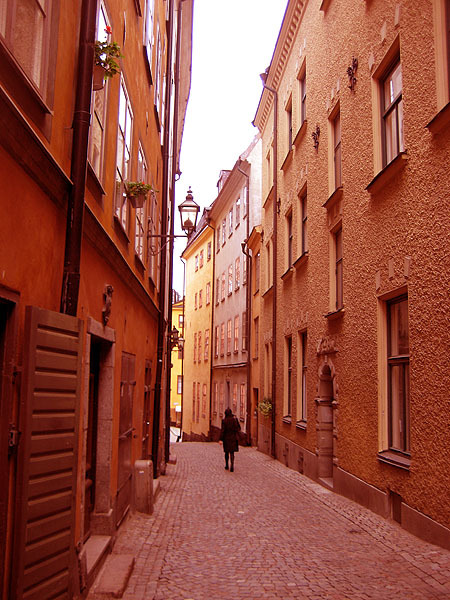 Gamla Stan, the old town, is a neat little island with narrow, winding cobblestone roads. 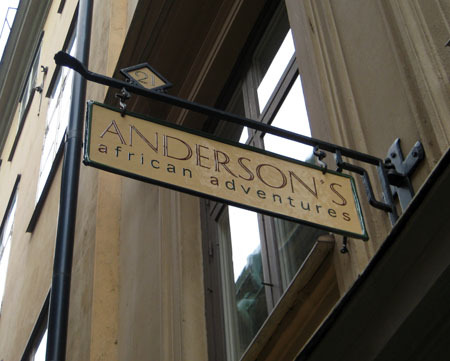 I wonder if this business was reading my blog when they were trying to think up their company name… after all, in Sweden they spell the name Andersson, not Anderson. We made it back to Uppsala by train (40 minute ride) just in time to eat some couscous quickly and dash off to a students party in town, to get a taste of Swedish student culture and meet some locals. It was quite fun, though I don’t have any photos to post here, sorry! This entry was posted in Europe, Sweden, Travel and tagged Signs, Stockholm. 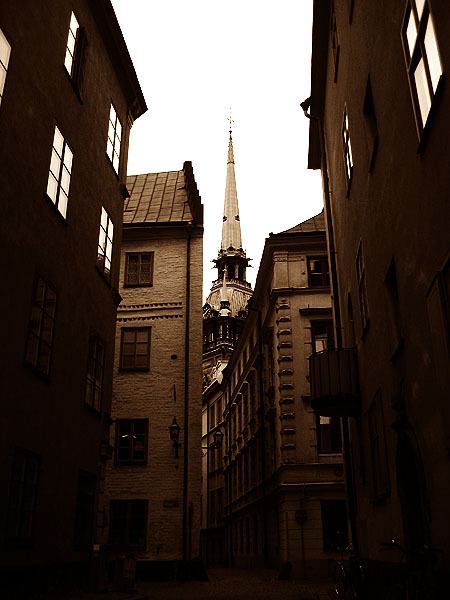 So I have this thing for winding cobblestone streets and old fashioned lamp posts…the one in your picture up there is gorgeous! 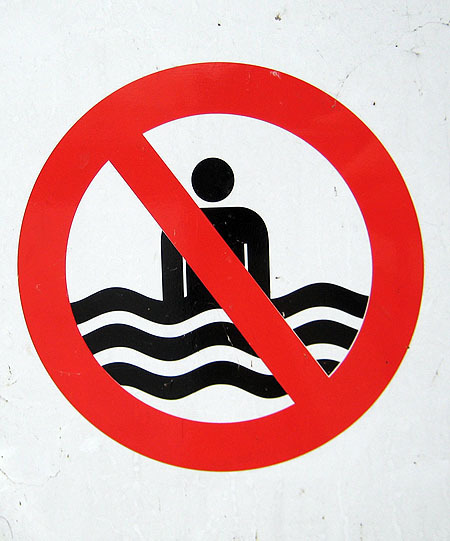 The sign that was supposedly inspired by your blog is so awesome, I think your sign collection is desperately lacking without it. Being desperate for a job, I decided to surf around Careers Online, and what do I see? Yours and Dzifa’s smiling faces!